As you can see, this jar is very simple to make but looks great! 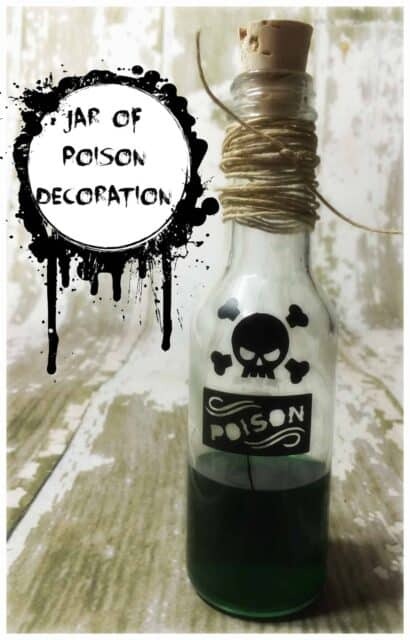 Cut out your Poison designs with your Cricut Machine on black vinyl. Use Contact paper to transfer onto your jar. Tie twine around jar, add drink and cork and you are ready to decorate or serve! I used a small funnel to transfer KoolAid into the jar so it wouldn’t spill on the outside. If you are using as a drink, add your cook and refrigerate until serving.